This iris family corm produces tube-shaped flowers in abundance in colors such as mauve, lavender, white, and yellow. The most popular are the large Dutch hybrid varieties such as Remembrance with purple flowers, Jeanne D'arc with white flowers and Pickwick with purple and white striped flowers. The yellow or white flowered Crocus chrysanthus varieties bloom earlier than the Dutch hybrids, often while there's still snow on the ground. 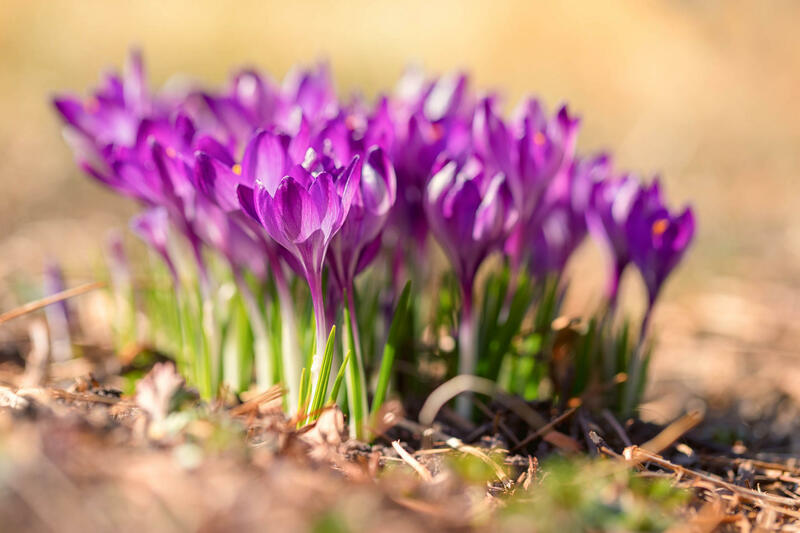 Even with winter hanging on through March, look for your crocus to be blooming now in warm spots near your house, rock walls or protected areas. Crocus are fall planted, like daffodils and tulips, and look best when grouped together en mass. 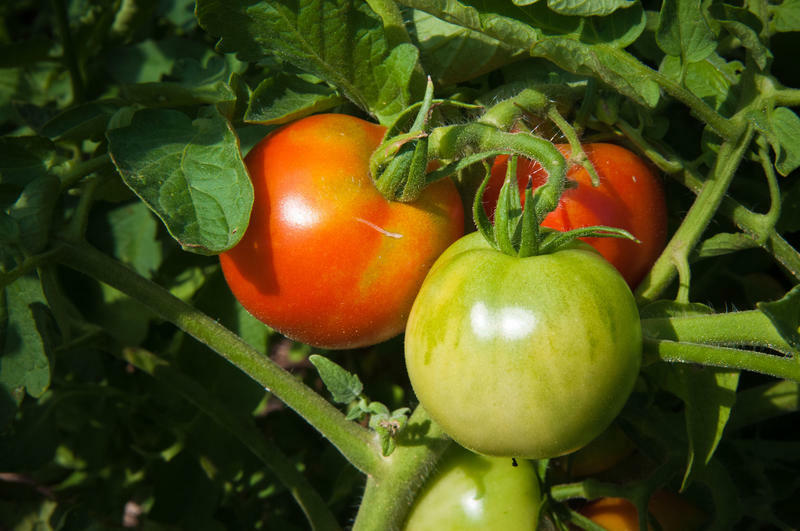 Plant them in flower gardens, under trees or shrubs or naturalized in meadows. The smaller flowered species crocus are best for naturalizing. Plant them anywhere you won't be mowing the area until after the foliage yellows and fades in early summer. Crocus bulbs can be divided after a few years to encourage more flowering. But we aren't the only ones who love crocus. Deer, voles, and rabbits will munch on the flowers and corms. When planting, spread crushed seashells or egg shells in the hole to deter voles and chipmunks. To prevent deer and rabbits from browsing the blooms, spray the buds with a repellent and reapply after a rain. Next week on the Connecticut Garden Journal, I'll be talking about kale. Until then, I'll be seeing you in the garden. While we plant spring flowering bulbs to naturalize in our meadows and woods, there are some naturally occurring ones that you can just help along. 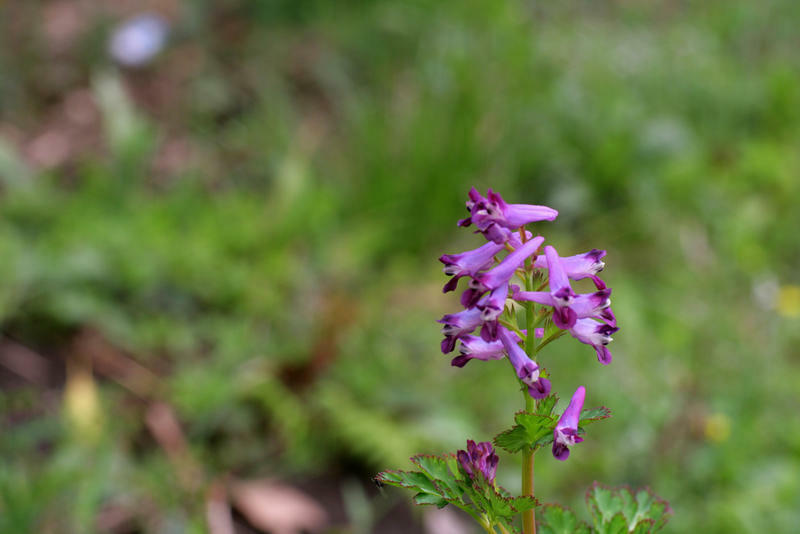 Corydalis is a tuberous plant that forms a carpet-like, ground cover of pink or white blooms each spring.